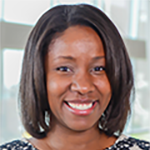 Stephani Tyrance, MPH, joined the CityMatCH team in July 2014 as Membership & Business Consultant. Stephani is a Virginia native that attended Universities of North Carolina at Chapel Hill and Greensboro. Her undergraduate degree is in Economics and her MPH is in Community Health Education. The majority of her work experience is in MCH, specifically SIDS reduction, maternal mental health, preconception health and HIV/AIDS education. Stephani is very excited about using her work experiences and training to address the needs of CityMatCH’s member organizations. In addition to getting comfortable in her new role she and her husband Marcus and daughter Emma are also getting use to life in Omaha, NE.